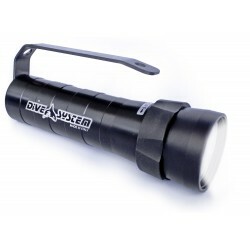 Small but powerful diving light 1000 lumen, 120 minutes burn time, LED powered with rechargeable batteries and full-aluminum body. Simply, Strong, Reliable. Made in Italy. 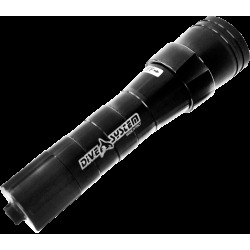 Primary and powerful diving light 1500 lumen, 170 minutes burn time, LED powered with rechargeable batteries and full-aluminum body. Simply, Strong, Reliable. Made in Italy. 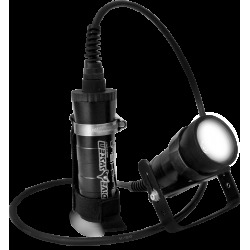 Primary Speleo Diving Light 1500 lumen, 170 minutes burn time, LED powered with rechargeable batteries, full-aluminum body, Extra-Flex Speleo cable and fast-release system for the battery pack harness. Simply, Strong, Reliable. Made in Italy.